Enterprise Connect 2018 (#EC18) will convene at the Gaylord Palms Hotel and Convention Center just four weeks from now. This annual industry event runs from March 12 – 15, 2018. Since our founding as UCStrategies in 2006, our team of Experts has been prominent in the Enterprise Connect program. 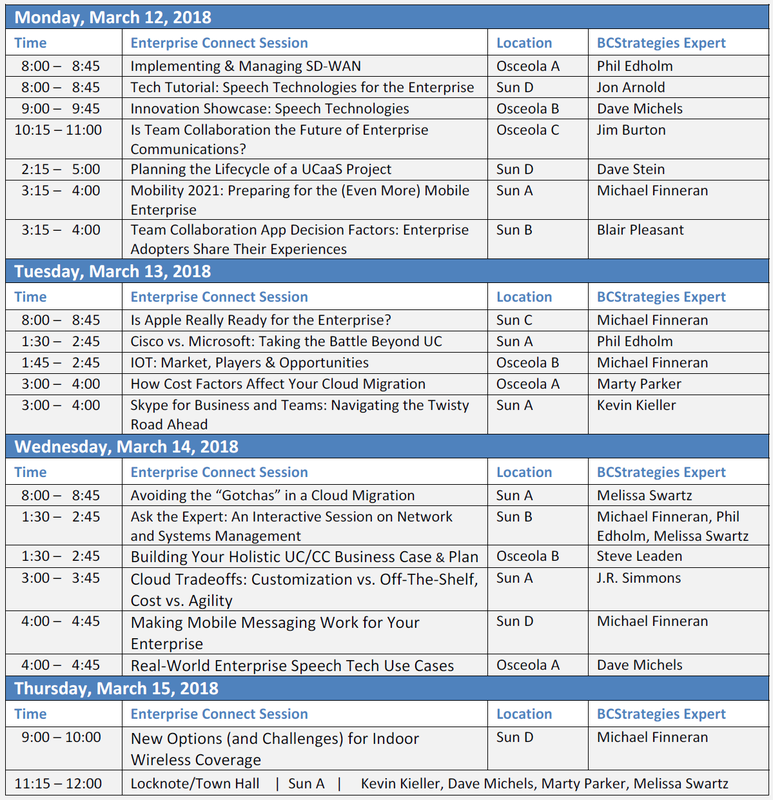 This year, 12 BCStrategies Experts will lead or participate in 20 EC’18 sessions, as shown below. This program, along with bios of the BCStrategies Experts who will be at EC’18, can be downloaded below. Look for us there, or even make contact with us in advance. If you have not yet registered, you can get a $500 discount from the Entire Event or the Tuesday–Thursday Conference registrations by using this hyperlink and clicking "Register" at the top of the web page.